Op de server van Sulake zijn nieuwe codes geüpload voor de Kerst campagne van volgende maand. landing.view.xmas18dress.body=Dancers! It’s your time to shine. Get one of these gorgeous new dresses while you still can – they’re available for a short time only! landing.view.xmas18fountain.body=The intricate lights that have been worked into this fountain are to die for. Get one while you can – they’re available for a short time only! landing.view.xmas18furni.body=Take a look at our all-new range of wintery Christmas furni! It won’t be around forever, so pick up what you need while you can. 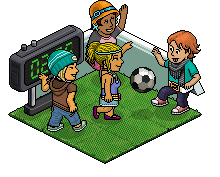 landing.view.xmas18ltd.body=The ultimate addition to any classic Habbo furni hoarder’s collection. There are only a handful of these as they are limited edition, so make sure you’re online when they’re released!